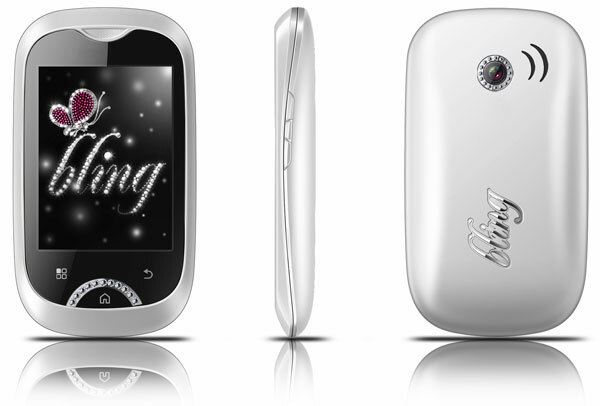 After the resounding success of the Q55 Bling phone, Micromax Informatics Limited has launched the A55 Bling-2, which is the second model in its Bling series of phones designed for the fashion-savvy woman. True to its name, this trendy mobile phone sports a glossy finish frame made with Swarovski Zirconia and comes with a white leather carry case enclosed with a compact mirror and special pouch to keep your lip gloss, making it easy for you to retouch your makeup anytime and anywhere. Then there is also the Swarovski encrusted Home button adding a touch of style. Apart from the glamour of the phone, it runs Android 2.2 Froyo and you can therefore install different apps from the Market to make the phone more useful. There are also built-in apps such as MiRoamer- Mobile radio, Saavn- Music on Demand, Mosho- Mobile shopping, Mundu Live TV (1 month free trial) and Whatsapp- a messenger that works across platforms (VAS) to meet the demand of today’s demanding women.